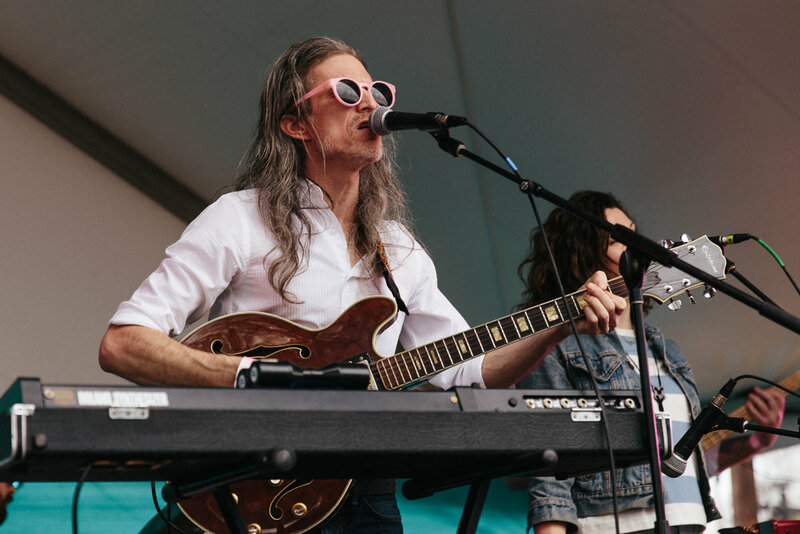 Among all the dumped dockless scooters, food trucks, and people on hoverboards holding boa constrictors (yes, really), Austin hosted countless numbers of great up-and-coming artists alongside established acts for SXSW Music 2019. 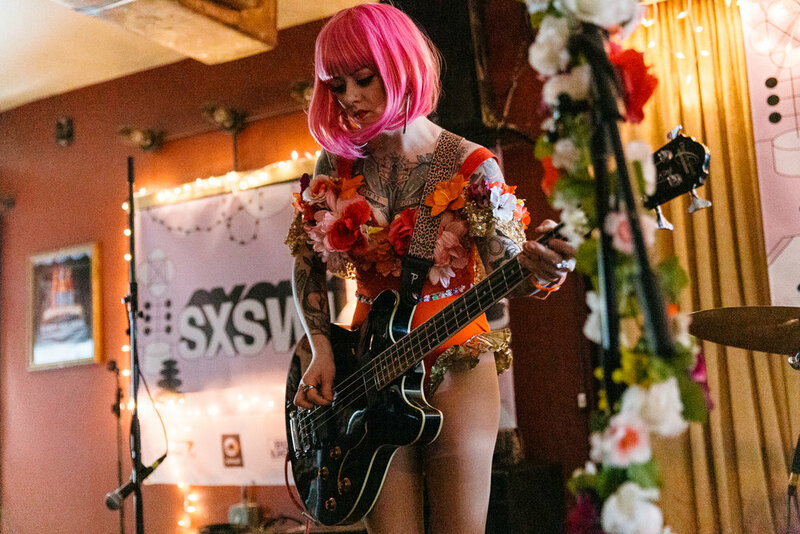 For those that have never gone, many Austin venues and locations open up their doors to host music of all kinds. 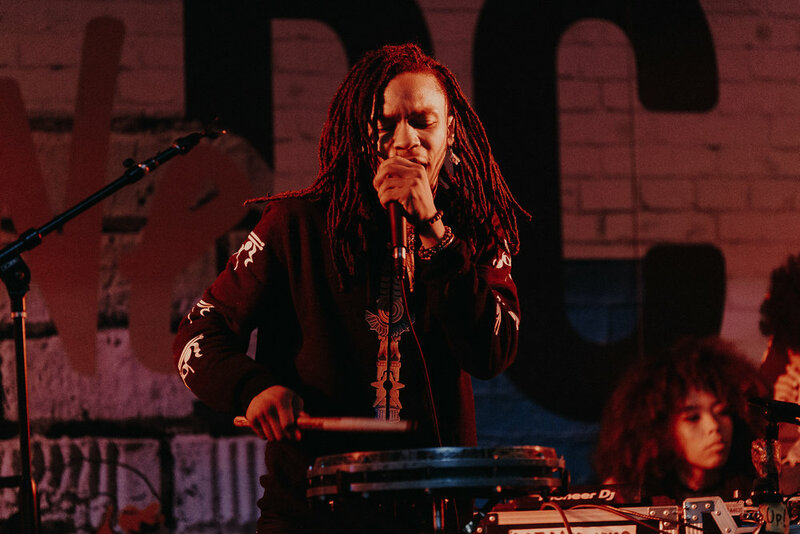 Rock music, electronic music, Latin music, African music, even classical music - there's a SXSW experience for everyone. 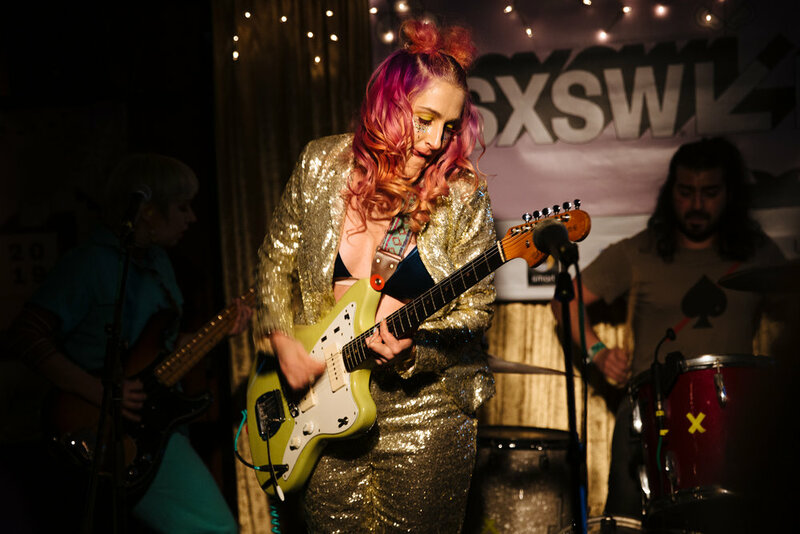 They play in established venues like Stubb's BBQ, intimate mezcalerias, still-active churches, expensive clothing stores, and even hotel lounges perched high above the city. 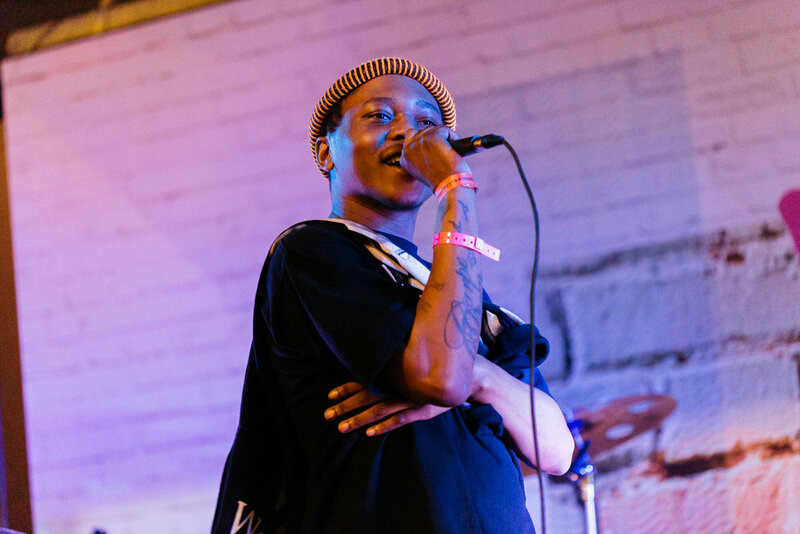 So with the diversity of artists and venues at SXSW, it's a futile endeavor to crown any one artist among the 1400+ that performed as the 'best' of the music festival. 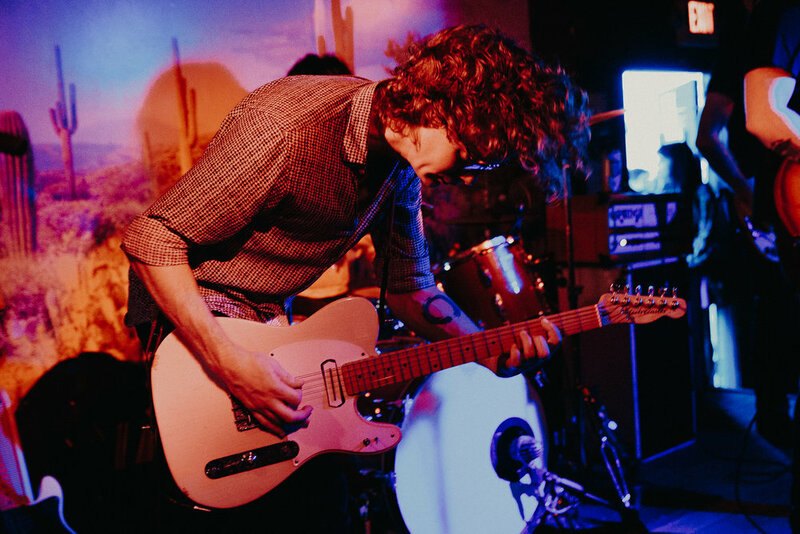 But to point you towards some genuinely great music, here are some new favorites after seeing many for the first time at SXSW. 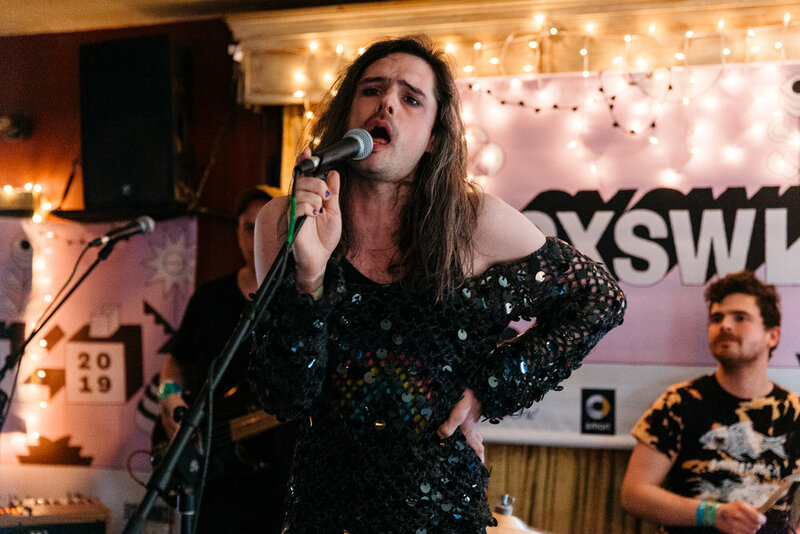 Keep scrolling down for a full photo gallery and a spotify playlist of sxsw 2019 favorites! They’ve got the swagger of Kasabian, the dark lyrics of Nine Inch Nails, and the ferocity of Queens of the Stone Age. Guitarist/vocalist Thomas Haywood is decked out in menacing face paint, bassist Charlie McGough’s wild twists and turns make standing in front of him a dangerous affair, and drummer Matthew Neale has a war-ready stare as he furiously pounds away at the drums. In other words, don’t mess with The Blinders - they came to demolish everything in their path. If Rick James had been raised in Cuba, he’d probably have turned out a bit like Cimafunk. Erik Alejandro Rodriguez and company turned the heat up at the NPR Alt.Latino showcase with a lot of dancing, horns, and call and response moments. Rodriguez is a showman of the highest caliber and shouldn’t be missed. For those that like a nice helping of humor to go with their rock n' roll, look no further than Fragile Rock. Songs like "Socks are Murder" and their boisterous ode to actress Fairuza Balk titled..."Fairuza Balk" will have you laughing and headbanging at the same time. Oh, and did we mention that they're fronted by a bunch of puppets? The rambunctious LA rock band call their brand of music ‘tenderpunk’ - singer and guitarist Sarah Tudzin woke up the 12 PM crowd with a whole lot of fun guitar riffs and slice-of-life songs about keeping the boyfriend’s dog, but not the boyfriend. They even had time for a ‘big rock finale’ of some call-and-response verses as Tudzin hit away at snare drums at the front of the stage. 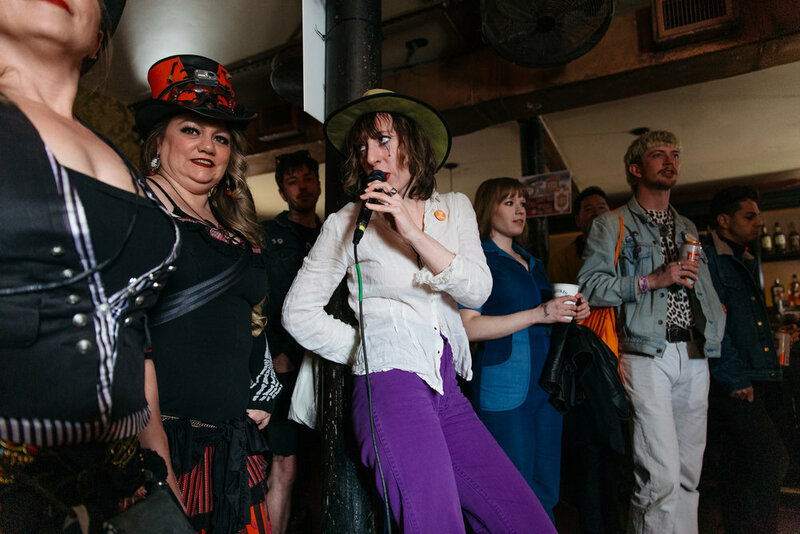 The jubilant Katie Schecter singer slowly attracted a crowd inside an Aviator Nation clothing store away from the open bar and towards the stage. Her infectious presence and voice combined with her band’s well-oiled performance hearkened back to the great soul-pop singers of the 60s and 70s. In retrospect, having her perform in a clothing store whose aesthetic is entirely 70s-inspired makes a lot of sense now. Not mad about it. Hailing from Montreal, the classically-trained Josie Boivin has a knack for lo-fi synth-pop earworms in both English and French. You only need to hear her ethereal, upbeat songs once to get them stuck in your head. Her solo performance was a huge crowd-pleaser, but if there was anyone at SXSW that deserved a full band, it was MUNYA. 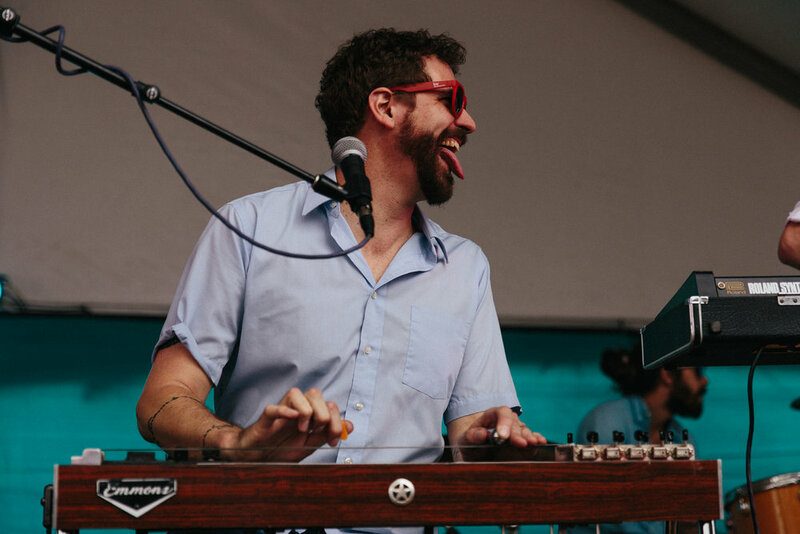 Think Beardyman meets Kishi Bashi meets Latin American sounds. This Brazilian-born and America-based artist and sound therapist takes a loop pedal to a cavalcade of instruments steeped in generations of Afro-Caribbean music and turns it into not just an globe-spanning dance party, but also into sublime and mystical moments of musical healing and inner peace. 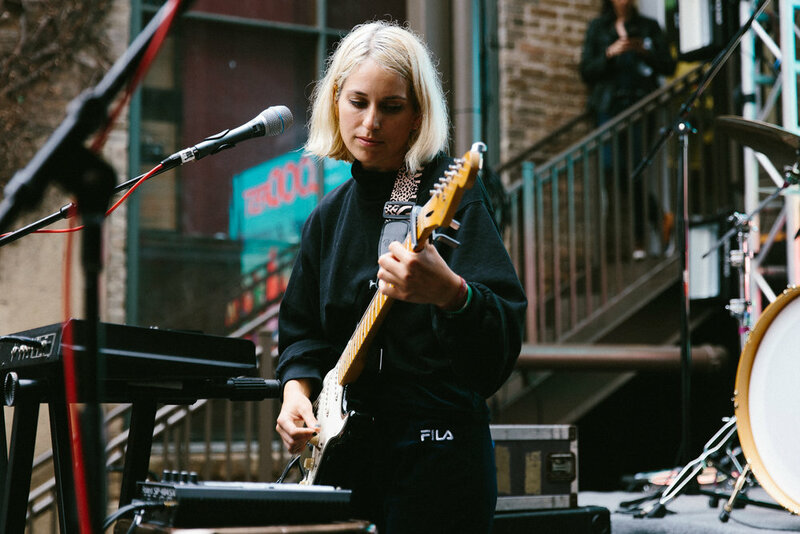 Singer and guitarist Julia Steiner has written songs about Antarctic explorers, dying cats, late-night Wawa trips, and relationships. But above all, she’s an emphatic performer on stage, trading laughs with her bandmates and having a whole lot of fun with every guitar strum and harmonized verse. Sean Barna is the storyteller that our world needs right now. In his own words, Barna sings about the “the sad ones, the scared ones, the mad ones, even the queer ones.” His storytelling and musical style channels Bruce Springsteen in his prime as he crafts entire worlds within each song - traumas, fears, flaws, desires, and so much more come to life through Barna’s distinctive and emphatic vocal delivery. 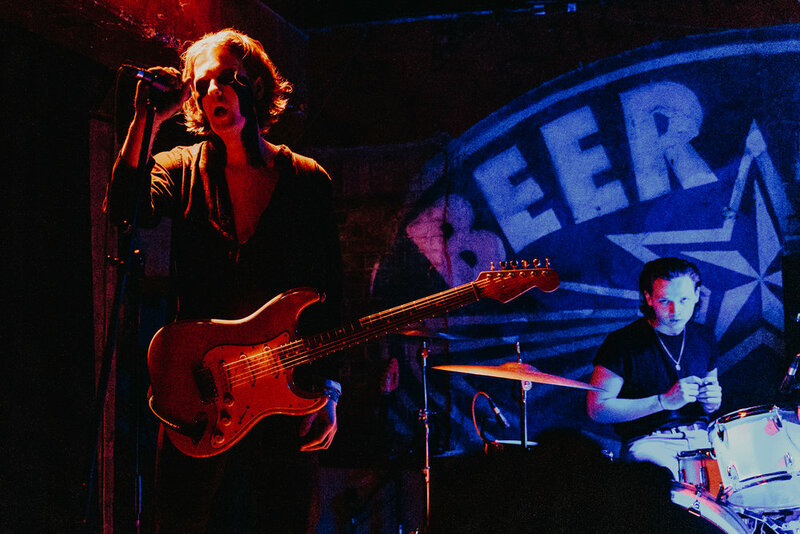 With the help of his band that turned every song into a raucous wall of sound, Barna delivered a breathtaking performance at SXSW. The Diego El Cigala collaborator and a Spanish guitar hero in his own right took the crowd on a musical journey around the world, spanning the worlds of Wild West film scores, gypsy punk, Cuban music, and rockabilly, all with a Spanish twist. 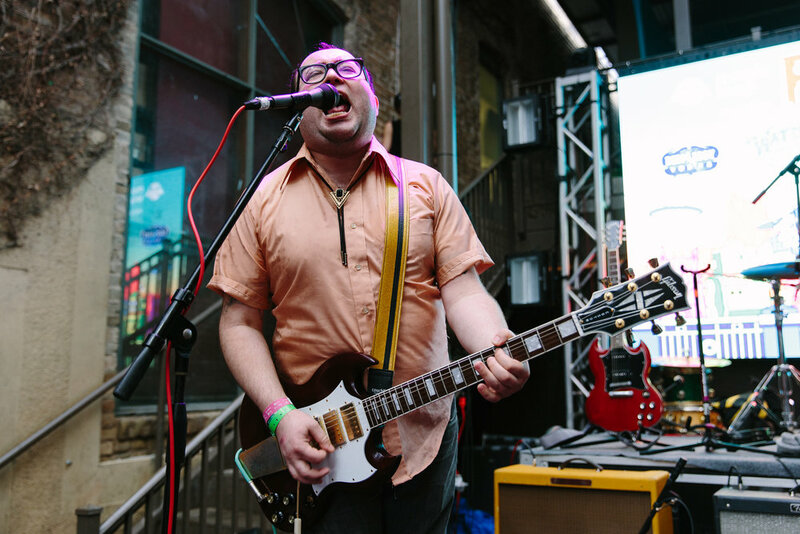 Check out some other SXSW 2019 favorites of ours!